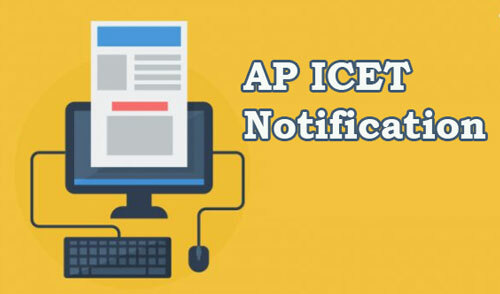 AP ICET Notification 2019 - Eligibility, Application, Fees, Imp Dates, etc. 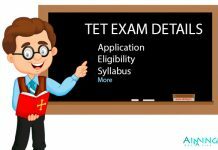 ICET Exam Information: In this article you will get the details of AP ICET Notification 2019. The AP ICET notification has been released recently. AP ICET exam is for admission into MCA and MBA courses. Since many students are searching for AP ICET notification 2019, we are going to provide the information of AP ICET notification, exam dates, results date, admit card etc. Continue reading the below for more information on AP ICET. 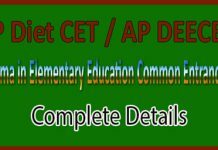 AP ICET stands for Andhra Pradesh Integrated Common Entrance Test. AP ICET exam will be conducted by Sri Venkateswara University, Tirupati on behalf of Andhra Pradesh State Council of Higher Education. This is State level exam. MCA – Candidates who wish to do MCA, should have passed B.tech or 3 years degree in any discipline with mathematics as a subject at 10+2 level with an aggregate of 50% . MBA – Candidates who wish to do MBA,should complete Bachelor’s Degree with 3 years duration from any recognized university with minimum aggregate of 50%. Candidates who are appearing for the final year degree examination can also apply for AP ICET exam. All application should be submitted on or before April 2019. Applications sent after April 2019 will be charged with a late fee of Rs 2000(along with Rs 550/- registration fee). The Payment is through online mode only. AP ICET application fee can be paid through AP Online Centres/Citizen Service Centers, e-Seva Centres in AP. Application fee can also be paid through the payment gateway (credit card/debit card) on the website of AP ICET. Note: No Negative marking for the wrong answers. AP ICET hall tickets or admit cards will be released one week before the exam.Candidates can download it from official website by giving the details such as application number or Date of Birth .The Hall tickets will be released in the month of April, the date will be announced later. AP ICET results will be announced by the board through online. The results will be announced probably in the month of May 2019. Based on the result, the candidate is eligible for the counseling. 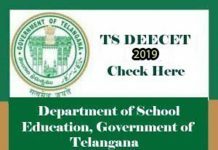 AP ICET 2019 counselling will be held after the declaration of result. Candidates those cleared the entrance exam, will be called for the counseling round. To get admission in the institutions, it is important for the candidates to appear the counselling. The seats will be allotted on the basis of rank obtained in the entrance exam. Hope this article will be useful to know about the AP ICET notification, exam dates, application fee details, admit card download date, results and counseling dates. APPLY ONLINE for AP ICET Exam. Also, Check the below links for more information.